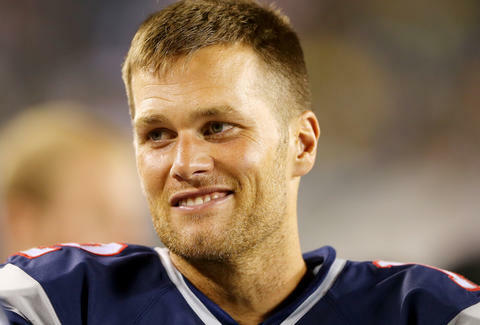 Aside from being rich, handsome, and married to a super model, Tom Brady's best known for drinking the blood of innocents to sate his Devil master being a God to Boston sports fans. He's easy to hate. But to maintain his Adonis shrine (re: his body), the New England Patriots quarterback goes to great lengths -- starting with his diet. And no, he doesn't actually eat children for breakfast. We think. In an interview with Boston.com, Brady's personal chef, Allen Campbell, delves into the nutritious foods he feeds to the 4-time Super Bowl winner, his wife, Giselle Bundchen, and their kids. While nothing about the cuisine comes off as particularly shocking, the list of foods Brady doesn't eat is more fascinating than the foods he does eat. For instance, Campbell believes in a mostly plant-based diet, bolstered by whole grains and lean meats. Which makes sense, if you've read enough literature on nutrition. Thus far, the proof is in the, uh... whatever kind of dessert you can make from wheatgrass? As the interview points out, few people on Earth rely on their bodies as much as Tom and Giselle. So if you're thinking about what separates you from the tippy-top of the success pyramid in sports or modeling: it's a lot. But Brady fully buys into the plan, even putting Frosted Flakes and Coca Cola on blast a few months ago, calling them poison. In their stead, the Bradys (Bradies? Brady-Bundchens?) eat foods you'd expect to see in a health-conscious household, such as almonds, quinoa, Swiss chard, etc. Decidedly absent from Brady's diet: apples. Because he went 0-2 against the Giants in the Super Bowl. HOW DO YOU LIKE THEM APPLES, TOM? Ryan Craggs is Thrillist's Senior News Editor. He is a die-hard Pittsburgh Steelers fan, and is resigned to his team losing to Tom Brady, every time they play. Follow him @ryanrcraggs.